Depend on Silbury - the food industry manufacturing and supply experts. Silbury is a leading supplier of food ingredients, with more than 30 years' experience of supporting food manufacturers and food service businesses across the UK, Ireland and beyond. Renowned for our expertise in tomatoes, oils, fats, pizza sauces and toppings, we supply businesses of all sizes, from artisans, right through to well known high street names and retail brands. We build long term partnerships with our customers, based on our ability to consistently source and supply ingredients of the absolute highest quality. We are consistently investing in our manufacturing and processing facilities for the benefit of our customers. Today, we operate a BRC Grade AA edible oils process and blending plant in the UK, and have an investment in a Portuguese-based tomato product manufacturer – enabling us to provide a consistent, secure supply of quality ingredients all year round. Are you struggling to find quality ingredients in the right quantities? 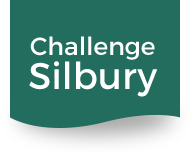 Challenge Silbury to provide the solution today. Whether you’re looking for something specific, or need a reliable supplier for your existing ingredients – you can depend on Silbury to take on the challenge, and do the very best we can to meet your requirements.